Highland Cemetery is a beautiful cemetery with its 100 acres of rolling hills and long history. It was founded in 1864 and designed by Col. James Lewis Glenn in 1863. A natural garden-like setting was sought to reflect designs originating from France and England. Highland Cemetery is recognized as a historic site, and a marker from the Washtenaw County Historic District Commission is on display at the entrance to the grounds. The plaque was presented to the cemetery in August of 1989. The first burial was that of Elias Norton, age 75, who is interned in Lot One, Block One. 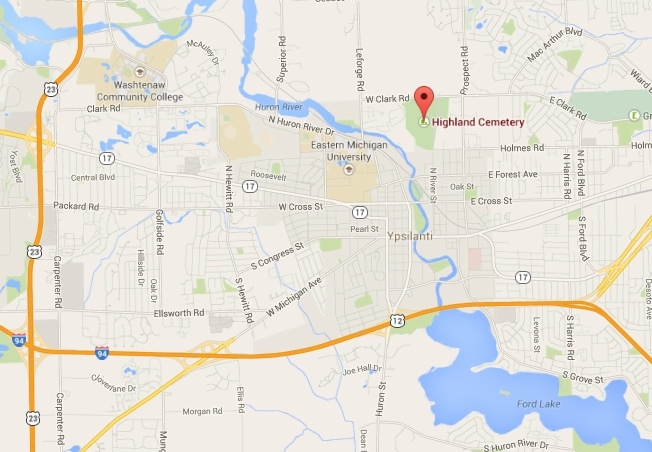 Highland Cemetery is located on land that once belonged to Native Americans. The French were granted claims to it in 1811 after the Revolutionary War. After that, English and American settlers arriving in Ypsilanti from New England, New York and other locations took over the land until it was finally made into a cemetery by prominent members of the City of Ypsilanti.